Denis Villeneuve's "Enemy", opening today, March 14th, in New York before expanding to other markets (and also available now On Demand for DirecTV subscribers), stars Jake Gyllenhaal as a mild-mannered teacher named Adam who finds his doppelganger. Adam is a morose, paranoid fellow to begin with and the revelation that there's an actor out there named Anthony who shares the exact same features shakes him to his core. Based on José Saramago's "The Double," "Enemy" is a deeply challenging piece, made by a filmmaker who refuses to give easy answers to philosophical questions. 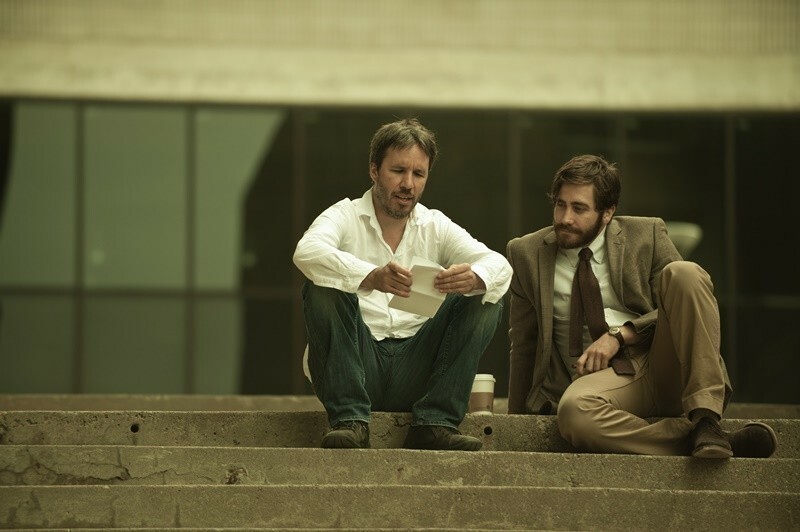 While it was shot before Villeneuve's "Prisoners", it is being released after, marking two films in a row with star Jake Gyllenhaal. 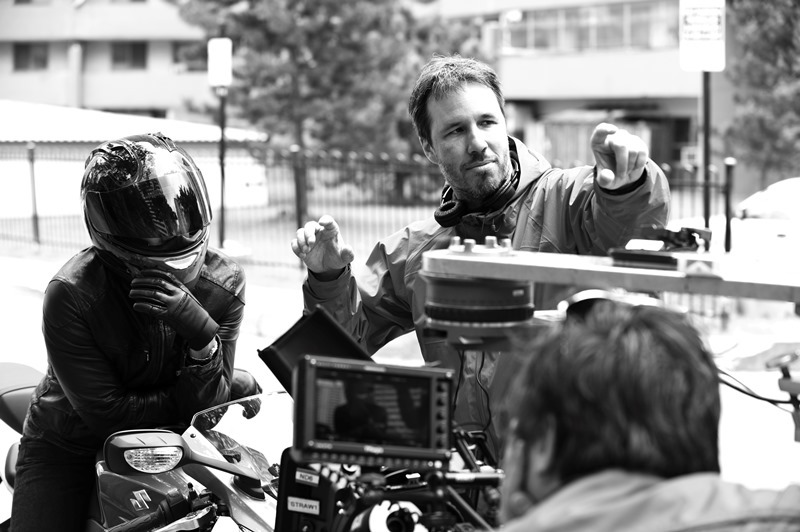 With these two films on the heels of the international acclaim for Oscar nominee "Incendies", Villeneuve is developing a unique cinematic voice. What drew you to the source material in the first place and how do you hope Saramago's fans approach the film given that it's not a literal adaptation? What I liked about the book was this idea that I feel is very accurate: repetition is Hell. If you don't deal with your shadows, you are condemned to repeat the same mistake over and over, as a human being or as a society. I really loved that in the book. I thought it was very wisely done. Of course, Saramago is so wise, so intelligent. There was also the fact that, as I read the book, I felt "vertigo." He was opening a door on the unknown like movies used to do in the past that I loved like "2001: A Space Odyssey", opening a door on the unknown. It was beyond words. It was very exciting and I felt like I was waiting for such a long time to do a movie where I experienced that sensation of vertigo. So, we did the adaptation and, unfortunately, Saramago died and we never had the privilege to meet and ask him some questions. I was with Javi Gullon, the screenwriter, and after a week of talking, we were very excited and we knew where we wanted to go but we had some fundamental questions [for Saramago]. Javi was taking the plane back to Spain and Saramago died. So, we never had the chance to talk to him and had to go with our own impressions. The idea was then not to make an adaptation but a movie "inspired" by the book. People who love the book will not necessarily love the movie. They're two different objects. We tried to keep the spirit in the movie. We were very deeply happy and relieved because Pilar, Saramago's wife, saw the movie like ten days ago and she loved it. She wrote us a beautiful letter saying how much she felt the movie and the book were different but talking about the same thing. She was positive that Saramago would have liked the film. That, for us, was the biggest compliment we could ever receive. You mention "2001". The film has echoes of a lot of '70s paranoia thrillers—the work of Roman Polanski, Michelangelo Antonioni, and David Cronenberg comes to mind. What were your film inspirations during production? Polanski was a strong reference. "The Tenant". The woman—two blondes—I insist to make a Hitchcock reference for our own playful way. There was something about "Vertigo", which is a movie about duplicity too. "Vertigo", "The Tenant", Kubrick. From a landscape point of view, there was a bit of "The Planet of the Apes". (Laughs.) The architecture. The feeling of the landscape. The paranoia. The brutality of the landscape. And my Production Designer said, "Stop. I found what you're talking about but it's been done before and it's in 'The Planet of the Apes'." We did this movie with a bunch of friends, film lovers, who wanted to play with cinema. So it's a very playful movie. It is a very cold film in terms of environment. The numerous shots of the skyline, tiny apartments, concrete, buses. How did you use the city landscape to enhance your themes? It's all coming from the book. It's in the book. It's set in an unknown South American massive megapolis like São Paulo. And I was not able to go away from what I felt in the book. There was a kind of tension, paranoia, anxiety coming from the size of the city. The city was this kind of monster. And we tried to shoot Toronto in the same way. Toronto is a neverending urban landscape. We tried to recreate with the colors, the clouds, feel the oppressive, paranoid feeling that the main character is going through. To bring it closer to the city described in the book. The architecture that can be found in São Paulo. You chose elements in Toronto that were closer to what we imagined when we were reading the book. I was very excited because all of the elements I was looking for were there. The art of playing two characters interests me, especially in that you don't want Adam and Anthony to be too similar or they'll blend together but they also can't be overly distinct or the film's philosophy might not work. How did you direct Jake to find the balance between the two? It was something that was very important. We started to work with the teacher (Adam), and we got very comfortable in the shoes of the teacher. And the teacher was very precise in our head. Anthony was closer to Jake in some ways. And when he came on set for the first time, it was too different. Jake could easily make 25 characters. He's a strong actor. For me, my job was to make them more similar. Just the way he breathes or the way he walks or moves his shoulders, he could become one character or the other. The same body but two different souls. My job was to make them as close as possible in some ways. It was really a matter that one character is afraid of the world and the other is a narcissist. Those ideas were so strong in Jake's mind but I had to slow him down all the time. Two movies with Jake back-to-back. What is it about him that interests you as a filmmaker? He is, by far, the most interesting actor that I've ever worked with. He pushes me all the time. He's very ambitious. He's not afraid of taking a risk. He's not afraid of work, of explorations. He pushes the envelope all the time. I push him and then we find something and then he has a new idea. He's very creative. He's someone that I think will age well because he's really getting more and more mature. He was a teenager for such a long time. Becoming a man, his best parts are in front of him. He will impress us in the future. I'm a better director working with him. I cannot be on automatic pilot with Jake. We are flirting with disaster and always on the edge. It's a kind of energy that I'm deeply inspired by. Are you going to work together again? We want to. I don't know when. It's always about schedule and parts. Hopefully soon. Do you know what you're doing next? I might do a project called "Sicario", although that's just a working title and not the real one. It's a movie about a small military operation at the border between the U.S. and Mexico. It's a very strong and dark screenplay that I fell in love with. I hope to shoot this movie next July. Next Article: Robert Rodriguez Talks About His Move Into Television With "From Dusk Till Dawn: The Series" Previous Article: Bateman's Switch: Jason Bateman Talks About Directing "Bad Words"